An intricate system of wind pipes simulate the wind speed of a hurricane. 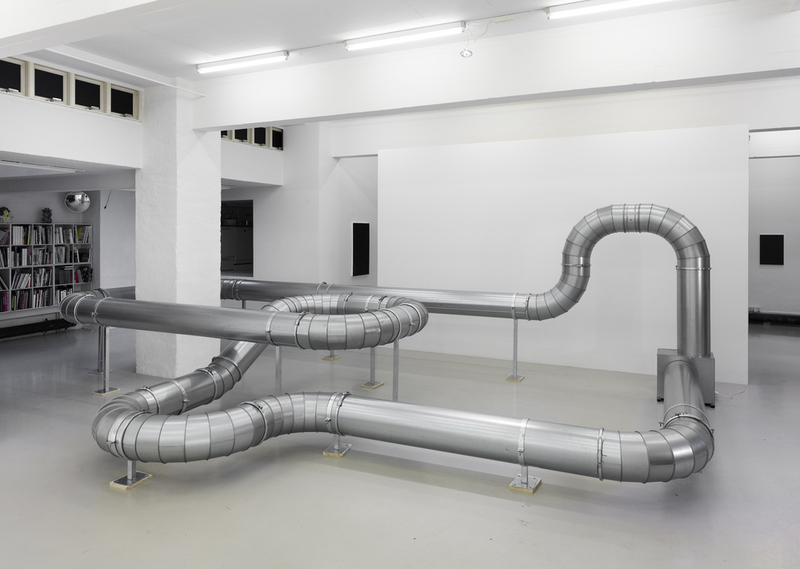 As the audience approaches the wind pipes a ventilation system automatically switches on and creates a wind with the speed of 32 meters per second equivalent to that of a hurricane. By manipulating and creating a massive energy outside of its natural environment the art work operates almost as a demon that has been captured and placed inside a jar, meaning that when placed inside an exhibition space a hurricane looses the effect that it has when in its environment; the outside. The artist has thereby created a controlled experience of a natural phenomenon as a site specific installation.